After studying Psychology, at Cambridge University as part of a Natural Sciences degree, Bella Given embarked on a career in marketing. Over the course of 20 years, she marketed brands such a Beefeater Gin, Solpadeine and Hedex, Snack-a-Jacks and Huggies nappies, and successfully created and marketed two of her own businesses: a South West London Garden Design Practice and, more recently, award-winning glamping business, Longlands, near Combe Martin in North Devon, which enjoys occupancy rates consistently above 90%. 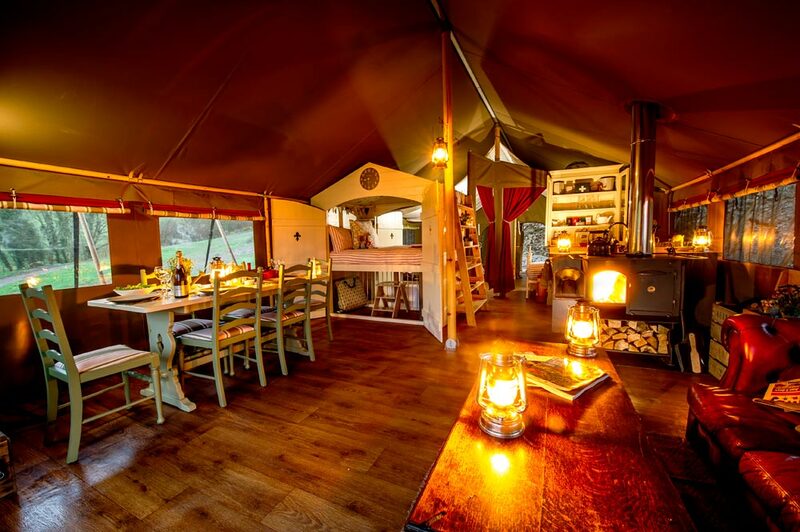 Bella already offers a course for glamping providers ‘An Essential Guide to planning, setting up and running a Glamping business’, and is now launching a marketing course specifically for accommodation providers, including glamping businesses, self-catering cottages, guest houses and hotels. The marketing course gives the opportunity to learn from someone with 20 years of marketing experience, an award-winning business, and occupancy levels consistently above 90% – see details below. What is marketing? What do we mean by the marketing mix? What do we mean by branding? I have a simple analogy to help it all make sense. Understanding your Target Market: Who is your current guest? How to you get them to tell others about you? How do you identify and reach new audiences? Three areas to focus on each needing their own tailored approach. Understanding your Product: You are selling so much more than a place to stay. Do you know what factors influence someone’s decision to book with you? I have had over 1,500 groups and over 5000 people stay at Longlands and nearly all of them have shared their thoughts on what makes a holiday great and what will have them coming back. There are seven key things you need to get right. Building a brand and showcasing it through your shop front: the 10 website essentials. How to drive traffic to your website: the seven best tools and how to make them work for you. An in-depth look at Facebook & Instagram and how to use them effectively. Facebook is my Number 1 booking source and has generated an 18 times return on my investment! Converting interest into bookings: 5 conversion tools that you cannot do without. Pricing & Promotions…an art and a science! Creating order out of chaos: pulling everything together into an annual communication plan with clear objectives & measures of success. The one-day course costs £495 and is being run on 22 March and 11 October 2017. • To book call 01271 882004 or 07798526133 or visit learningsfromlonglands.co.uk/course.